I had a fleeting acquaintance with the Costa Smeralda (the Emerald Cost), the playground of millionaires, and also with the islands of the Maddalena, the archipelago a little further north, which seem stepping stones towards Corsica. I had even spent some time on San Pietro island off the west coast and witnessed the slaughter of tuna in nearby waters which attracts sadistic tourists. 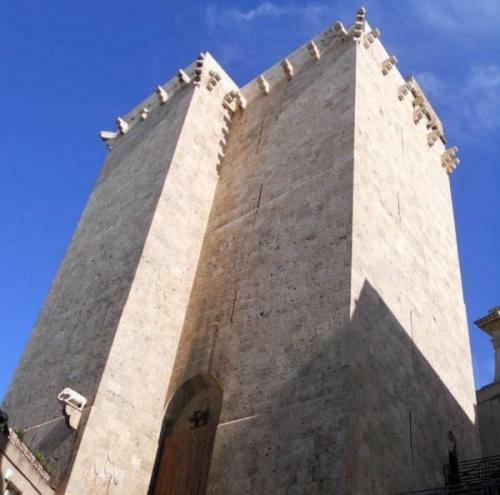 But until recently I had not seen Cagliari, the capital of this second largest of Mediterranean islands after Sicily, nor made the 230 kilometre road trip north-west to Alghero. This is an immersion in unspoilt nature, low, wind- bent vegetation, cactuses galore, flamingos in season, beaches of white, golden or reddish sand, rocks emerging from the sea shaped like whales or submarines. Cagliari whose metropolitan zone has 440,000 inhabitants or a quarter of the Sardinian population, has a hilltop historic quarter which slopes towards the sea from a 14th century defence tower (called the Elephant tower because of a sculpted pachyderm on a façade ledge) built when Pisa controlled the city and built walls around it. Descending the slope takes one to the vice-regal residence from the Spanish era flanked by a Pisan- Romanesque cathedral. The old town ends at the St. Remy ramparts, a former bastion looking over the port and the bay to the mountains beyond it. An amphitheatre cut into the side of a limestone hill remains from the Roman era but before Rome was founded there was a Phoenician settlement in what is now Cagliari. The transversal, traffic-free via Garibaldi enables a pleasant walk across much of the capital. Nearby is the seaside Tharros archaeological zone founded by the Phoenicians in the 8th century B.C. The remains show that their settlement was modified by the arrival of the Romans around 238 BC who introduced sewerage, brick building and basalt pavements. Alghero, with 44,000 inhabitants, has preserved its traditions from the nearly 400 years to 1720 during which it was Catalan. It was a fortified port whose walls still stand, providing an ample promenade amid its canons and weapons such as reconstructed stone catapults which flung rocks at enemy ships. Dramatic Easter week processions and ceremonies are a further Spanish heritage. The names of streets in the town’s old quarter are given both in Italian and Catalan. Theatres perform plays written in Algherese Catalan which is still spoken by some families although television has made Italian or the Sardinian language (which officially have equal status) more used. The intact old quarter has decorated street lampshades from which what seems to be coral hangs as a tribute to the offshore red coral reefs which have long been used by local craftsmen. Most tourists go to Sardinia for its outdoor life. It is one of the few place in Italy which gives the impression of untamed nature and wild country with limitless horizons. It has more than twice as many sheep as people. It has beaches which run for kilometres and others in snug coves which can be reached only by water. And that water is crystal clear, turquoise and green. There are extensive camping grounds such as that at the Spiaggia del Riso (Rice Beach). It is ideal for snorkelling, canoeing, trekking, mountain bike rides. It has great cheeses, wines and crisp, wafer-thin bread. But my point is that it also has the remains of a challenging past and intriguing cities.